This eCard shows a space ship using it's ray gun on the planet earth. 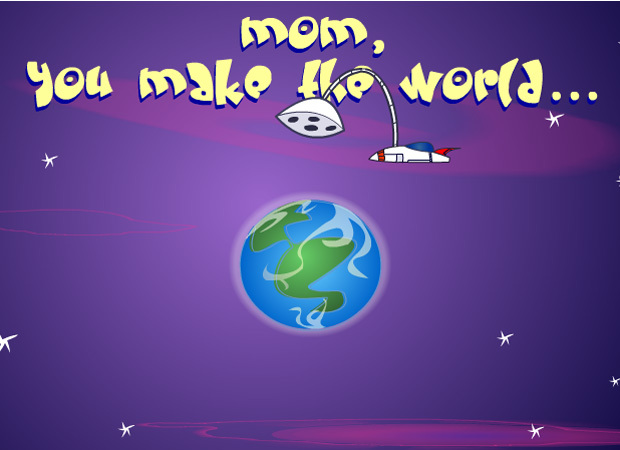 Text above this reads 'Mom, you make the world..' and changes to 'A better place.' when flowers sprout all over the world. Send this great eCard to your mum for her birthday, mother's day or just to let her know you love her.